Brazilian Chamber Jazz. 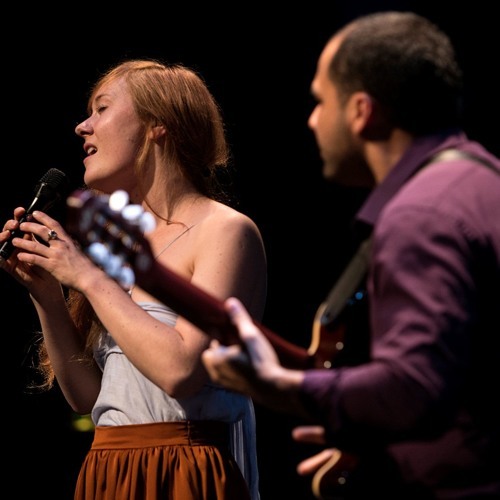 The sound of the duo is a fusion of Marco Antonio da Costas multifaceted guitar playing supporting the delicacy of the powerful yet fragile voice of Laura Lenhardt. Within their compositions beyond jazz and brazilian music, they are playing with the beauty of transparence and sophistication. Sometimes intimate, sometimes melancholic, sometimes energetic. An ode to the art of duo playing – a dialogue with it’s own form of freedom and complexity. Nearness and space. Opposition and harmony.